Yesterday me and four of my friends watched the new Star Wars movie together. It was awesome! Of course, I will be writing a movie review about it. I will be rating it 4.8 out of 5 stars. I still was disappointed a bit (for a reason that would be considered a spoiler) but overall the movie was amazing! 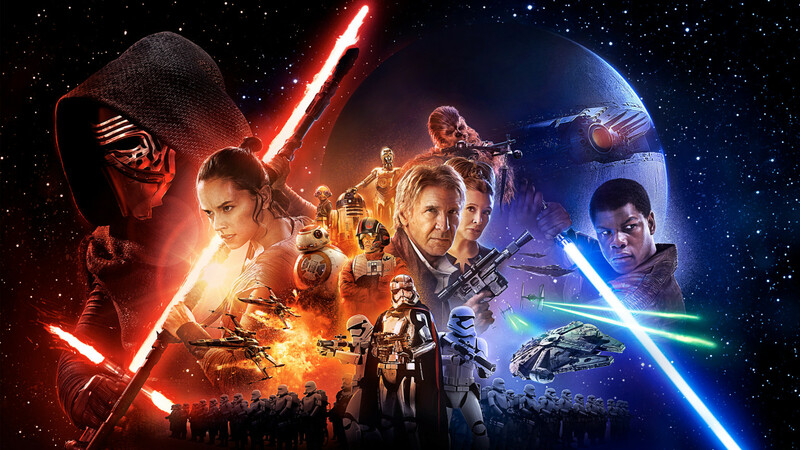 Epic storyline, awesome technology, and exciting battles- that is what I usually expect from Star Wars. This particular movie goes above and beyond that, as it proved to be a truly amazing movie- I really enjoyed watching! Okay. If you haven't watched the movie yet I advise you to stay away from this part of my review. If you are scrolling down my blog, stop here immediately. Close you eyes, keep scrolling down for few seconds and then open them. If you are too far down by then, scroll up a bit, but stop when you see the beginning of my post before this. Thanks! I will stay away from some MAJOR spoilers, but I will not block small ones about the movie's plot. It still may spoil it for you. You have been warned. 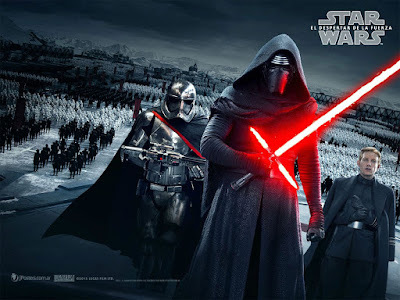 It starts out with a battle not long after the rise of the First Order, the new reign of evil in the galaxy. 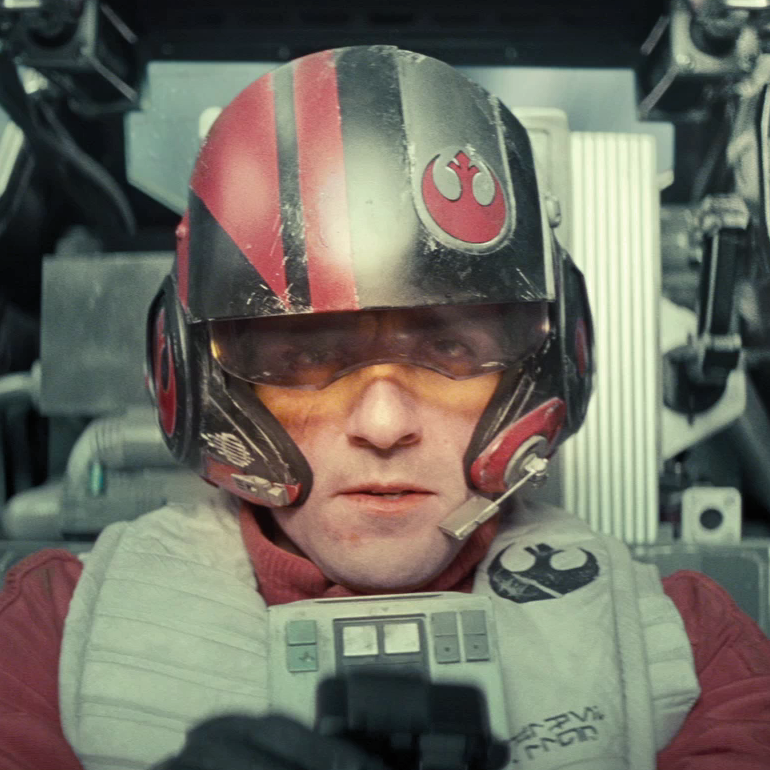 In it, you see Poe Dameron leaving BB-8 behind to escape in his X-Wing. BB-8 has essential information- a map to Luke Skywalker's current whereabouts. Poe Dameron is a part of the Resistance, an alliance formed to fight the First Order. At first, Poe is captured by Kylo Ren. Kylo Ren is the secondary commander of the Order. He takes Poe to a room where he uses the Force to force Poe into revealing where the map to Luke Skywalker is. He eventually spills the beans, saying that it is in a BB-unit called BB-8. He then is escorted by a Stormtrooper who turns out to be a rescuer. Thr stormtrooper takes off his mask and helps Poe escape the clutches of Kylo Ren using a TIE Fighter. When POE asks the trooper what his name is, he says that the only name he was ever given was "FN 8360". Poe decides to call him Finn. Meanwhile, on the desert planet of Jakku, BB-8 meets Rey, a young scavenger hunter, She discovers BB-8 while looking for scrap parts to sell. 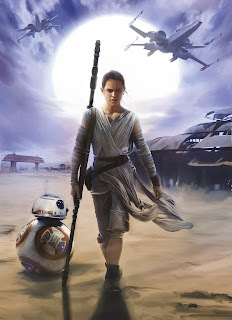 She finds out that BB-8 has classified information in him, and that he has someone he has to meet. 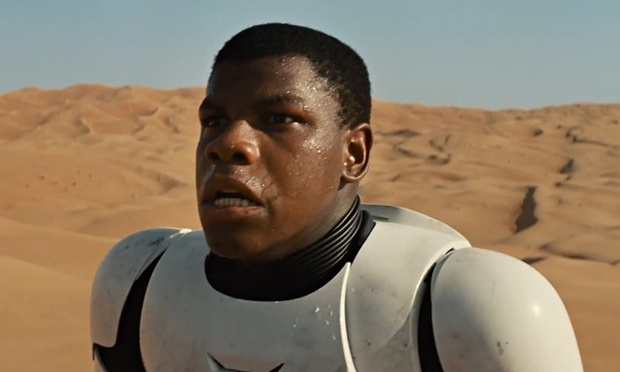 When Finn and Poe, crash land their TIE Fighter onto Jakku, Finn cannot find Poe and assumes he didn't survive. So he takes off his stormtrooper armor and puts on Poes jacket (what was found left of him) over his suit. 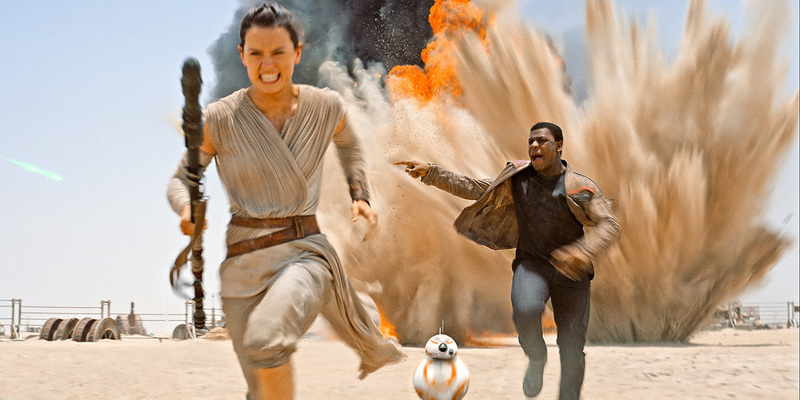 While in Jakku, Finn and Rey meet each other. They have a run-in with stormtroopers when the troopers see BB-8. They were able to escape by working together. They find an old beaten-up ship that hasn't been used in years (can you guess it? ), and try to pilot it away. They don't make it very far, but still manage to escape the battle. When asked, Finn lies to Rey about being a part of the Resistance (just to find an excuse to escape the Order). Then, Han Solo and Chewbacca arrive. They find out that their ship, the Millenium Falcon (you guessed it!) was in a junkyard. 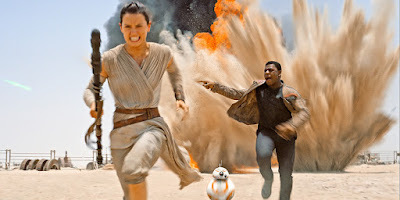 Han reveals who he is, and Finn and Rey are shocked to discover that he was actually Han Solo, famous pilot of the Rebellion against the Empire, and friends with Luke Skywalker. Han tells them, "The Force, the Jedi, the Darkside... The crazy thing is that it's true- All of it." 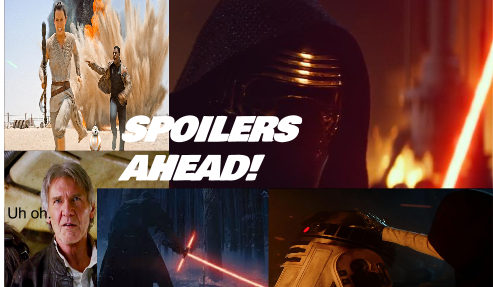 After that, they follow Han, Chewie, and Leia on a quest to blow up the First Order's new massive battle station, confront Kylo Ren, and of course, find Luke. I will not discuss the rest of the movie because there are some major reveals that may spoil it for you before you watch. But it was amazing! The reason I gave it only 4.8 out of 5 stars is because at the end we get to finally see Luke, but only briefly, and he literally does nothing but stares at Rey for a while. I guess it is supposed to be a cliffhanger for the next movie, Episode 8, but then once again, people got excited about Luke for nothing. At least, not much. This post made it to the popular posts list in only 2 days. Nice! Star Wars Hasbro Remote Control BB-8- TOY REVIEW!